Recently, my friend and fellow Sony Artisan Robert Evans asked if I’d like to fly to London to shoot with him on a wedding. My arm didn’t need much twisting since it sounded super fun to see in action, and work with, one of today’s top wedding photographers. We also felt that it would be unreasonable to fly all that way, from Minnesota for him, from Los Angeles for me, and limit our stay to London for the wedding. So we decided to take an extra five days in Ireland to wander and take photos for the fun of it. No clients. No schedule. No agenda. Just rent a car, drive on the wrong side of the road for a week, and as long as we make our flight from Dublin back to London, we’d be golden. So that’s just what we did. For a while I had been crushing on the Sony RX1R II. Its rangefinder body style really appeals to me for travel, street, documentary and environmental portraits. The fact is, for my rodeo work, which is mostly environmental portraits with some other color mixed in to round it out, a rangefinder film camera, the Contax G2, was integral during the genesis of that project and to the style in which I shoot it. I began to shoot rodeo about 10 years ago on that camera, long before I made the transition to digital. Since 2013, I’ve been shooting some of my rodeo work on the RX1 cameras. First with the RX1 and this past June I shot the Reno Rodeo on my new RX1R II. With its 42.4MP sensor, the same as in the a7R II, and the integral and super-sharp 35mm Zeiss lens, the RX1R II is the perfect camera for photographing people that aren’t that used to having cameras turned on them. Its small footprint and quiet shutter click make it much less obtrusive than shooting with a big DSLR with a big zoom, which is what most rodeo photographers employ. This helps me capture better, more real and intimate moments with my subjects. Sony RX1R II. 1/80-sec., f/2.5, ISO 100. Reno Rodeo. 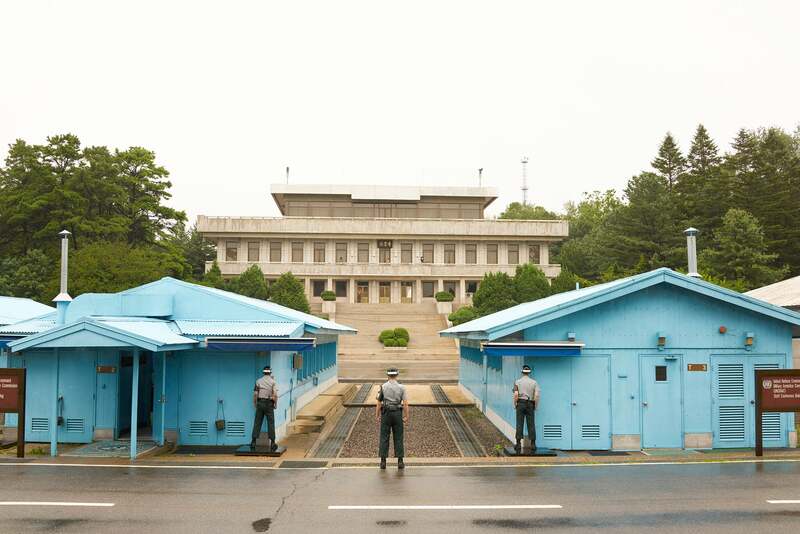 The RX10 III is a camera I wish I’d had with me last July for my once-in-a-lifetime visit to the South Korean side of the Joint Security Area of the DMZ—the crazy, surreal and seemingly volatile border with North Korea. That day in July, as I signed my life away on a waiver reminding me I was entering a war zone, I was also told I had to leave my camera bag outside the area. As such, I was limited to the couple cameras I could carry and I photographed the experience with my RX1R II and my a7R II with a 70-200 zoom. In the end it all worked out fine, but in that situation, I lamented not having the RX10 III for all the reasons that Robert details in his article. Sony RX1R II. 1/100-sec., f/8, ISO 400. The concrete ridge visible between the blue buildings, where the pavement color changes, is the actual border between the DPRK and South Korea. The Stalinist, Soviet-style building facing us is North Korea. Sony RX1RII. 1/100-sec., f/8, ISO 2500. 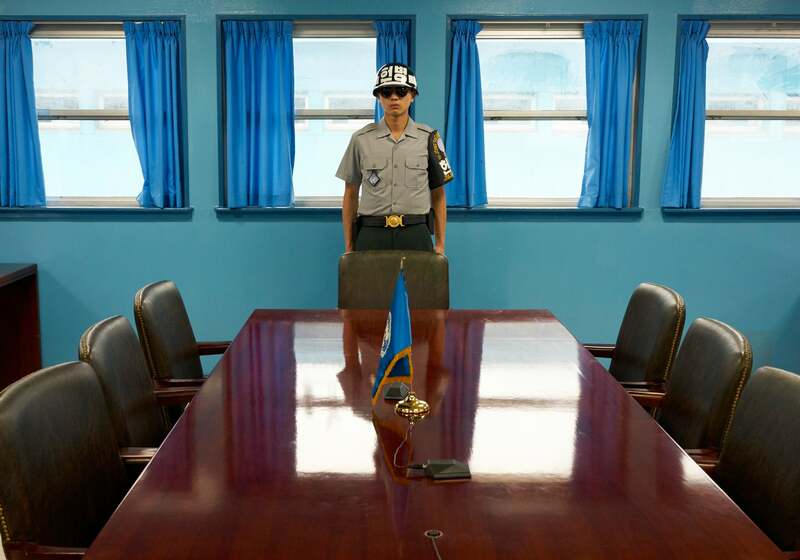 This UN diplomatic table is bisected by the border of North and South Korea. The chairs to the right in this image are in North Korean territory. When I’m traveling, I am not the kind of photographer who wears one of those beige photo vests with pockets full of lenses and other photo stuff. I’m very much a purist, and the RX1R II lends itself very well to the simplicity and cleanliness of how I shoot. It’s compact, lightweight, unassuming and uncompromising in image quality – for me, a perfect travel camera. In London, where the probability of attack by the North Koreans is much more remote than when I was within a stone’s throw from, or literally standing on, the 38th parallel, after working with Robert on a very posh wedding, I connected with a hairstylist friend that I used to work with a lot in Paris in the mid-1990s and I hadn’t seen since that time. He now has a salon on Columbia Road, a cool street lined with Victorian shops in the Shoreditch area of East London, and Robert and I stopped down there for a visit. The RX1R II’s 35mm focal length was perfect for the types of pictures I was interested in making. 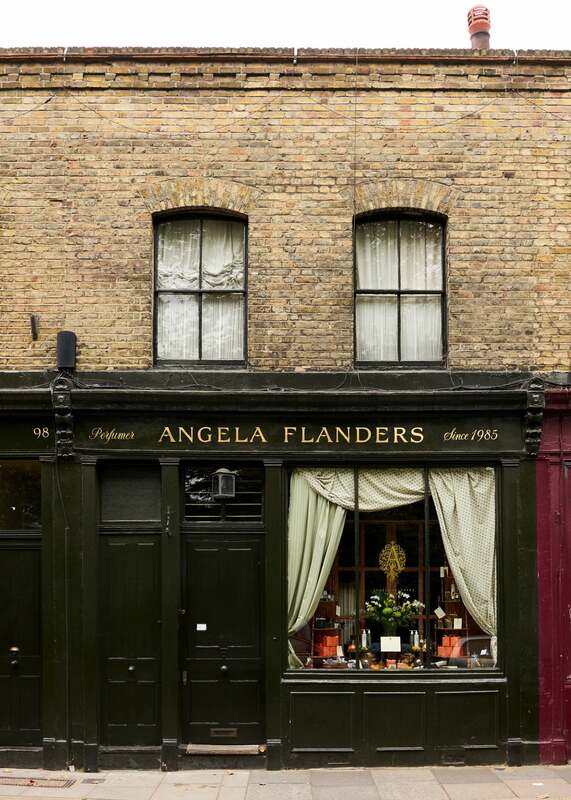 And this photo of the Angela Flanders shop on Columbia Road is one example where focal length and high resolution contribute to the success of my final image. I loved the texture of those old buildings and I tend to like my walls and buildings to appear true and vertical. The RX1R II translated that texture so well, and the file held together quite nicely during the slight perspective corrections I made to the RAW file in Capture One. I’m also very used to shooting with prime lenses. Especially when shooting portraits, I’d rather zoom in or out with my feet than with a zoom lens, though I have been rotating my Sony 24-70mm f/2.8 GM lens into my workflow. The point is, it’s a rare occasion that I am not able to get the shot I want with a prime lens and I love the sharpness, contrast, clarity and color of the 35mm lens in the RX1R II. 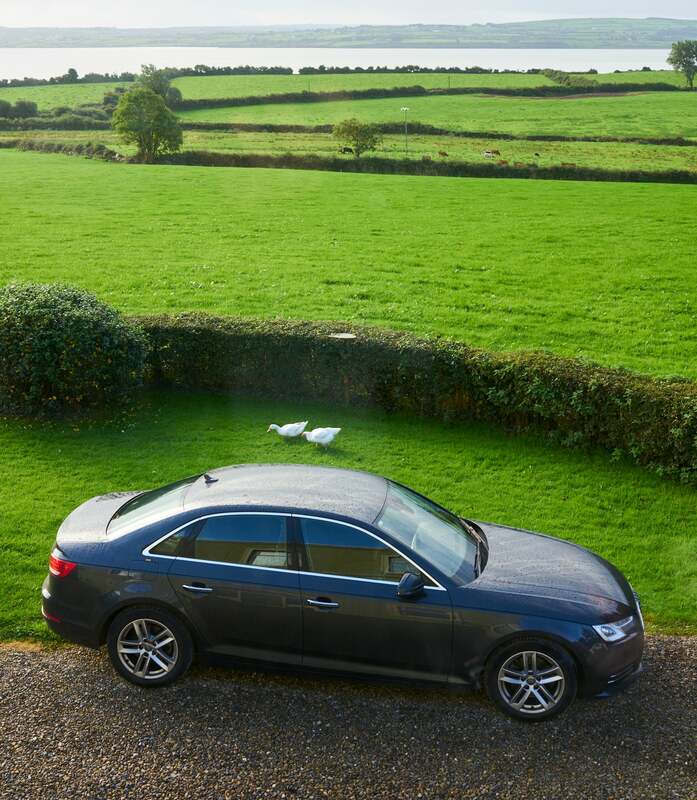 Once in Ireland, Robert and I hit the road in our rented Audi A4 TDI. Launching from Cork in the southeast and initially heading west to Dingle, over the course of the roughly 5 days we were there, we put over 1,000 km on the car during our photo excursion. Sony RX1R II. 1/100-sec., f/5.6, ISO 200. Morning view at the bed & breakfast in Labasheeda. Another of our destinations was Inch Beach in the southwest of Ireland. Inch was very unlike any of the beaches I’ve seen here in California, but it’s where I found one of the other shots on my trip-to-Ireland photo bucket list. I had assumed Ireland would be green, but I have never in my life seen anyplace so green, so, so green. And I wanted to get a shot of that somehow - to capture the green-ness of Ireland, and to translate the texture of that green-ness. These wind-brushed dunes were exactly what I was hoping I’d find, sometime, somewhere. The RX1RII worked especially well for me on this shot. Since the camera has an Optical Variable Low Pass Filter, a first in a camera like this, and since resolution was paramount to me for this shot, I clicked the OLPF to Off for maximum resolution and clicked a few frames. The OLPF in this camera has three settings, Off, Standard, and High. Call me crazy but I wasn’t concerned about moire or artifacting when making this shot. And while processing the image with Capture One back at home in L.A., I never needed to correct for any sort of aliasing or other flaws. The sensor in this camera is that phenomenal! I also never leave it fully up to the camera to decide on settings. Sure, there are times I don’t want to think and set the camera to full Auto or Program, but usually, when traveling or shooting environmental portraits on location, I have the camera set to Aperture Priority and also set manually the ISO and White Balance, as I did on all these shots. 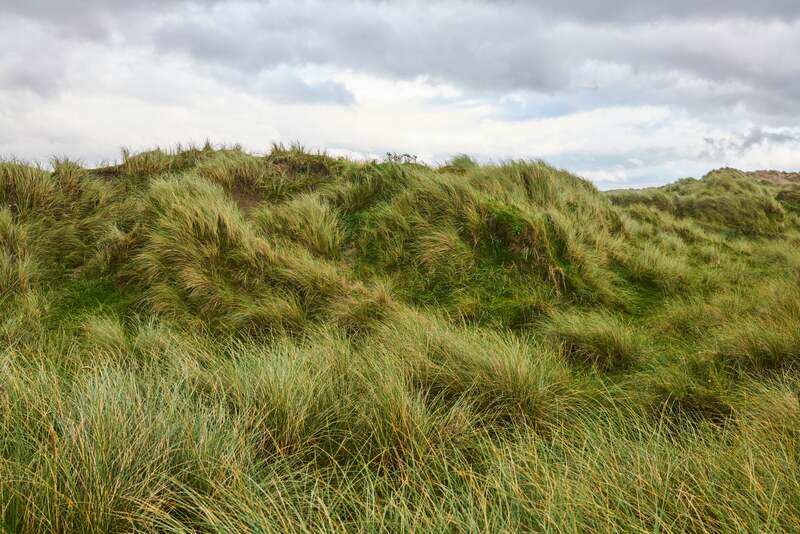 When I made this image of the dunes, I pictured it perhaps one day on a wall, probably my own, and big. Turns out, however, that a friend of mine who is a prominent interior designer in NYC liked the shot so much that she acquired a 60” x 40” print of it for a luxury apartment project. That’s a big print, and when I went to render a file for the lab for a print that size, 650MB, the high resolution and great detail that I’m able to get with the RX1RII paid off in spades. And Capture One didn’t even break a sweat pumping out such a large file from this camera. So if you’re serious about your travel photography, or about street photography, or environmental portraits, or just like taking pictures, the Sony RX1RII just might be the perfect tool for you. On this trip, it was for me. 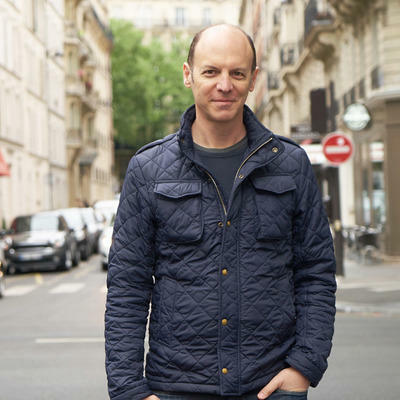 Jeff Berlin began his career chasing fashion models down the streets of New York City, with a camera. They knew he was here, it was cool. He liked this so much he spent five years shooting in Milan and Paris before moving back to NYC. Through the years, he’s collaborated with top fashion magazines and brands like Vogue Italia, L’Oreal, British Elle, Estée Lauder, Esquire, Bloomingdale’s, Miss Vogue, Macy’s, Vogue Pelle, Madame Figaro, and Wella among many others. Recently, Jeff transitioned to motion pictures. He was producer and camera operator on the feature film Three Days in August, which played at multiple film festivals and ran in select theaters nationwide. It’s now available on major streaming platforms. Jeff has both shot and directed an online spot for the Professional Bull Riders (PBR), a fashion brand film for noted designer Norma Kamali, as well as a number of short films and online spots for Sony. His latest film project, Stormchaser, a short with an award-winning director, was shot on the new Sony VENICE motion picture camera and is currently in post production. Jeff is an experienced aviator, a connoisseur of rodeo, and a Sony Artisan of Imagery. 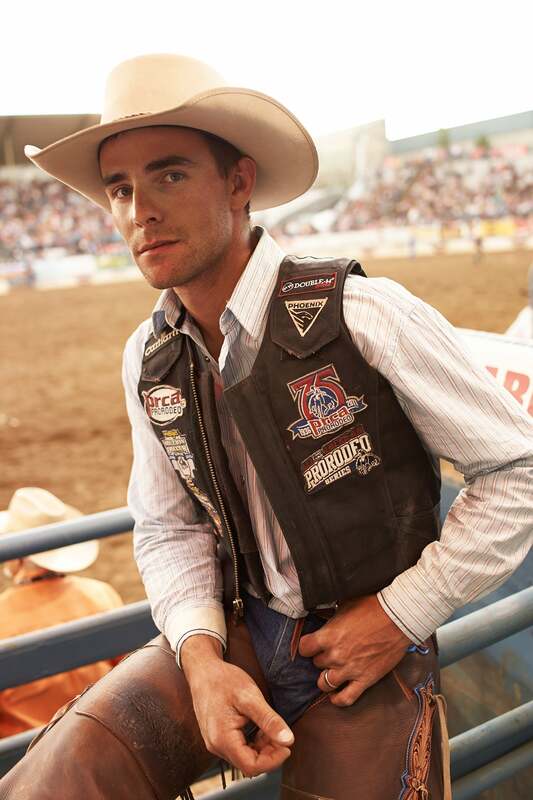 He enjoys photographing rodeos and airplanes, but not at the same time.